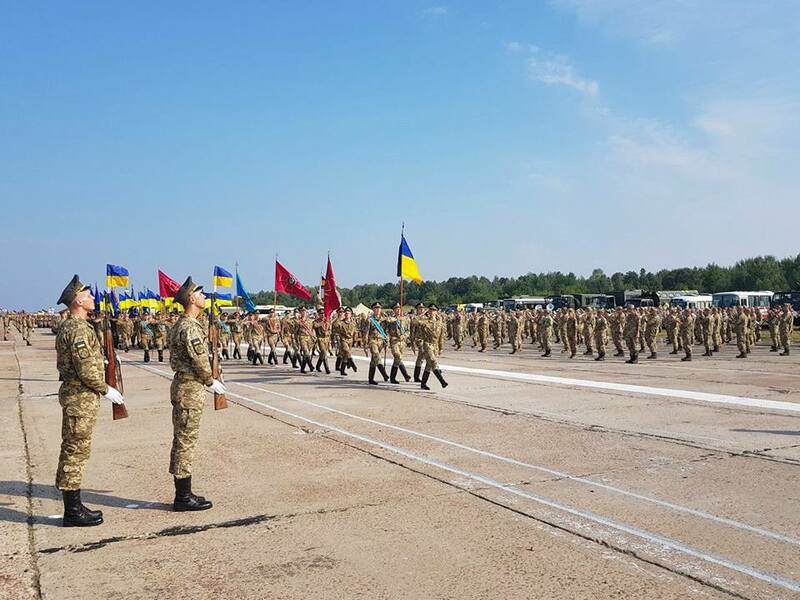 Minister of Defence of Ukraine General of the Army of Ukraine Stepan Poltorak inspected the training of the military parade to be held on August 24 in Kyiv. 4,500 troops of Armed Forces of Ukraine, National Guard, State Border Service, and National Police of Ukraine will participate in the parade on the occasion of the 26th Anniversary of Independence of Ukraine. “More than 1,000 service members participated in combat operations in east of Ukraine, more than 200 service members got awards for courage and heroism,” General Poltorak stressed. He also announced a static demonstration of military equipment during military parade, participation of military bands in festivities, and demonstration of new uniform of guard of honor. Minister of Defence of Ukraine stressed, “All service members have right to march on the main street of Ukraine – Khreshchatyk. Both military and civilians need this event. Parade on occasion of Day of Independence is very important for Ukrainian army.” He also stressed that the Armed Forces guarantee the independence of Ukraine.